Medical negligence is fundamentally quite a complex subject in as much as negligence that takes place within the health industry cannot always make it to court as there are clear boundaries as to whether individual negligence cases warrant a compensation award. Within the boundaries of the law a medical negligence case can only be brought to court if the victim of the negligence has in some way been harmed/injured mentally or physically or as in some cases suffered both. Medical negligence takes place when a health care worker provides a service that is below the standard expected and they have consequently breached their code of conduct set out by the powers that be. However for any clinical and medical negligence claim to be brought to a court of law such negligence must have had consequences up on a person health, with their health suffering as a direct consequence of the medical error. It is crucial that before making a decision whether to pursue a medical negligence claim that the above facts are taken in to place as it will save time and probable unwanted added stress of making such a big decision if no injury has actually been sustained. Actually coming to a decision whether or not to make a medical negligence claim is probably the most difficult part of the whole process. People fear the compensation claiming process and are often deterred from making any such claim as they feel that it is quite complex and may add to the stress and anxiety they are already going through as a result of the negligence. Once the decision has been made to pursue a claim for medical negligence compensation the difficult part is over especially if you are appointing a solicitor to represent your case with in a court of law. One vital point to remember if deciding to seek legal representation which is highly advised if wanting to receive maximum award, is to research several law firms before deciding on one particular firm. If going to the trouble of making a medical negligence compensation claim then you will want your case to be in the best possible capable hands so it’s highly important that you seek out the most appropriate solicitors for your case, those that specialise in your particular medical negligence area and who are most professional in manner. How Much Compensation can be Awarded for Medical Negligence? It is important for those pursing a claim to know how much compensation for medical negligence they are entitled to as the injuries sustained through medical error may have had a huge impact upon not only their personal life but social and financial life too and may need the funds from the compensation they may be awarded to cope financially. When some people think of medical negligence they think of how the person has been effected health wise very often other aspects are over looked which in a way is rightly so as the health aspect is the most important but when people suffer ill health through medical error it is not only their health that is affected other areas are as well especially their finances. Those that are victims of medical mistakes often have to take time off work may be just short term as they will make a full recovery from the injuries sustained however for others the negligence may have been so severe that they may not be able to return to work for a lengthy time and in some cases may not be able to return to employment at all causing major problems for hem financially. Being able to find out how much compensation they will be awarded may be immensely important for them to plan for the future. However there is no easy answer as no two medical negligence cases are exactly the same and peoples personal circumstances, events that lead up to the negligence and their health condition before the negligence will not be the same as another person’s so although estimates can be given on past medical negligence cases they are only that, estimates, no true evaluation can be given until the case has actually been assessed by a medical expert. Medical negligence compensation awards can range from mild cases that have little effect up on a person’s health which they will be awarded a couple of thousand pounds to severe cases may be brain injuries which can run in to millions. Cases of negligence within medicine can vary enormously both in the incident involving the negligence and the events leading up to it so without having the case looked up on an individual basis it is difficult to give a precise amount of compensation that may be awarded. 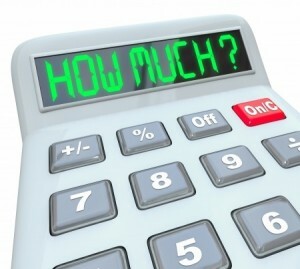 When a case of medical negligence is being weighed up and a conclusion is made about the amount of compensation that should be awarded the court or legal teams look at two main points them being how much financially has the victim suffered (special damages) and how in terms of pain and suffering have/ and will continue to sustain (general damages). It seems that separate figures are given to both damages and then added up to give the overall amount which will conclude in the final amount. The more financial loss and the greater the pain and suffering will result in the higher the award which is fair but in reality no amount of money can make up for harm brought about by medical negligence and in truth most people would give up any amount of compensation not to have gone though any type of negligence. Disability that results due to a medical error is truly hard to digest. Sustaining a lifelong physical or mental injury as a consequence of medical treatment that has fallen below the standards that are expected by any health care worker can be seen as unforgivable. If a person becomes disabled as a direct consequence of a medical error then they have been highly let down by the medical industry. There is no denying that the majority of health care workers on a daily basis 365 days a year do an absolute commendable job, often having their work go unnoticed but reaping the rewards through gratification. Those people who have a commitment, capabilities and work ethic to be able to offer much of their life to helping others through health services do an amazing job and without such people as health care workers people’s health would not be where it is today. Nevertheless there are times when even within the health industry when things can go wrong and mistakes can be made. And it is true that health care workers are human and can make mistakes too, some say its human error but major critics will always argue and have a very valid point that when dealing with people’s health there is no room for mistakes and mistakes or errors should never be a term used by the medical profession. 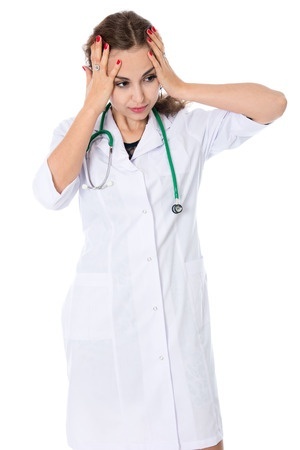 Within the definition of medical negligence or to successfully bring a medical negligence claim to court it must be proven that the mistake has been made was just that and that no other health care worker of a similar capability in an almost same situation would not have conducted themselves and the medical service they would have provided in a different way. In layman’s terms that another medical staff would not have caused the same negligence to the patient. So although the law leaves room for medical errors, meaning it is possible for medical staff to make mistakes it leaves no room at all for medical negligence to take place. The law regarding medical negligence goes even further by stating that in order for a person to be able to pursue a claim for medical negligence they must have somehow been affected health wise as a direct consequence of the negligence, under the rules of the law it is not enough for just medical negligence to have taken place. How Much Compensation Can be Rewarded for a Disability Sustained through Medical Negligence? Every case of medical negligence is different as no two victims of the negligence have the exact personal circumstances, with personal injury cases the law sets out strong boundaries when it comes to compensation that should be awarded to those victims whereas with medical negligence although there are perimeters the amounts are not set in stone and can move regarding each individual case. Before people decide proceed with legal proceeding they usually ask how much compensation for medical negligence they have sustained and in large the answer will probably be the same that until a medical expert has looked over their case it is very difficult to give exact amounts. The law appreciates that medical negligence is not a straight forward area and that there has to be flexibility within the law when it comes to compensation claim cases. Setting a compensation amount for any one type of medical negligence case in its self is complex so with regards to the amount of compensation that may be awarded for a person who has sustained a disability through the negligence of a health care worker is even more difficult as the term disability covers a broad spectrum of disabilities and impairments. The most appropriate way of finding out how much compensation will be awarded in terms of a disability caused by medical negligence is to seek legal advice as they may be able to weigh up your case and ask a medical expert to review your condition and give a more precise estimate. Alternatively some law internet sites offer a medical negligence compensation calculator but caution must always be at the forefront when consulting such a service as each medical negligence case varies from the next and figures shown are only estimates. 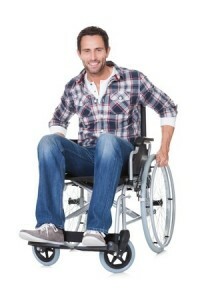 Disability is such a broad umbrella term for many types of sub section disabilities, often people refer to a disabled person as being wheelchair bound but in truth this is often not the case as only a minority of disabled people use a wheelchair, around 5% of registered disabled people actually need a wheel chair. Moreover the term disability does not just define a person who has a physical disability but also people who have a mental impairment. Some people are born with disabilities very often through genetics and no one is at fault. However some people sustain disabilities through the standards of health care they receive which is unthinkable. Health care workers are there to help people who are suffering ill health or an injury not to in fact inflict people with even more health problems through poor standards and neglect. Those who have sustained a disability through medical negligence could have done so through many ways, birth injuries, anaesthetic problems which have led to brain injuries, misdiagnosis, spinal injuries, orthopaedic injuries, surgical injuries but to name a few all which can cause a patient lifelong disability and impairment problems that should never have happened. Disabled people have every right to be employed. The employers have no right to discriminate or shun the employment opportunities just because the person is disabled. The employees with disabilities share the same general employment rights as other able workers do. Employers are responsible to make adjustments in the workplace or the employment arrangements so that a disabled person can easily perform his/her duties in the workplace. The employers are liable to make reasonable adjustments in every stage of the employment. It is important for the employer to be knowledgeable about the disability of the person. The disabled people should not be placed at a substantial disadvantage as compared to the normal person. The duty of the employer arises when a provision of the policy at the practice, or any physical feature at the premises of the workplace is at substantial disadvantage of the disabled person. The employer has to take reasonable steps to make arrangements to create an environment suitable for the disabled person. The employer in no way can justify the failure in making reasonable adjustments. When the duty arises, the employer has to take necessary steps for removing or reducing the obstacles a person might face while processing the job application or performing the job itself. The adjustments will not be expensive, and an employer is not expected to do more than what is reasonable. The reasonability depends on the size and the nature of organization. However, if an employer does nothing, then the disabled person can make a claim against the employer in the employment tribunal. The employer might be entitled to pay some compensation and then make reasonable adjustments. The disabled person can discuss the necessary arrangements to be made for working with the employer. He can encourage his employer to talk to a person who is expert in offering help in adjusting the workplace or the working condition for disabled people. Job applicants with disabilities to compete on the basis of their capabilities, merit and position. The employer adjustment will also include job redesigning, changing the work area, purchasing special equipment, and offering the most flexible work arrangements. A significant number of factors might be involved in deciding whether to make the adjustments and if the adjustments are to be made, what should they be. This mostly depends on the individual circumstances. Different people are going to need different changes. Even people with similar impairments might need different changes. Therefore, it is better for the employer to discuss the adjustments with the worker. Chances are the adjustments made by you might not be effective for the particular disabled person. The pension schemes and benefits should not discriminate disabled people. The occupational pension scheme must make reasonable adjustments to any practice, provision, policy or criterion that is against the disabled person or that puts the person in substantial disadvantage as compared to the able people. According to DDA, adjustment is considered to be “reasonable” unless it creates hardships for the organization or the employer. These are the unjustifiable hardships that come in financial form or major amendments to the physical structure of the building which might not be possible due to council restrictions or any other kind of adjustments that may be harmful for other employees within the organization. While there are organizations that are constantly working to make the world a better living place for disabled people, there is always the danger of not having enough funds to run the programs that provide rehabilitation for these people and offer them a better way of life. Keeping up with the latest developments in the economic conditions and the government’s policies is a crucial part of the work that rehabilitation centre’s do for disabled people. After all these policies are directly affecting the different programs for disabled people in one way or another and it is from these policies that the future can be predicted more accurately. Some of the latest developments regarding this particular field have been discussed here in detail. Anne McGuire is a disabled member of the Labour Party and has formerly worked in the ministry for disabled people. She was recently given the honour of being a dame in the House of Commons after being recognized for her services in the government. She is the second disabled member of the House of Commons who has been awarded this position, the previous being another Labour Party member Dame Anne Begg. McGuire has a long-term illness and she has been chairing the all-party disability group in the parliament, a position she will be retiring from in the coming general elections. McGuire has been quite active in her work for the disabled which started from the 1980s when she opened a housing scheme in Cumbernauld, her hometown, for people with learning difficulties. McGuire has done great work while holding the position of chair in the ministry and all the organizations and people in the disabled community showed a great reaction towards her newly pronounced dame hood. She says that she has always tried to go the extra mile in understanding the views of people and helping them out. We can only hope to see that her replacement in the ministry will show the same level of dedication. In recent developments it has been found that the future of the Office for Disability Issues may be in jeopardy as the DWP has refused to calculate the budget that would be allocated to ODI on the grounds that it may be too expensive to calculate these figures. The responsibility of ODI is quite vast and diverse as this office not only helps the minister in handling cross-government roles, it also helps in the devising of the strategy of the government on the issues regarding disabled people. In addition to that, the office also oversees the implementation of the Rights of Persons with Disabilities which is a part of the UN Convention. However, recent developments indicate that the importance of this office has been decreased and the result could be a failure of the department. In conclusion London’s CEO Tracey Lazard said that there is a possibility that ODI might no longer be seen after the elections which would be an “extremely concerning” situation. The questions regarding the future funding of the Office for Disability Issues must be addressed immediately and the office should be reinstated to its original position. People with disabilities use wheelchairs all the time and with the advancements in technology, it is become possible to make the wheelchair more advanced too. However, the law has been preventing a lot of youngsters from being able to use them simply because they are not old enough. The law is implemented on the weight of the chair and also any person who is below the age of 14 is disallowed from using an advanced chair completely. Even for those over that age, they can only have a chair that weighs less than 150kg. Any chair above that is to be treated as a car and would require a license to drive around in. With batteries and other heavy equipment being installed, the weight tends to get more and more and this rule is causing problems for a lot of children who want to use the advanced chairs. Clearly it is time for the government to bring some amendments to the law to accommodate these chairs and recognize the potential of these products. A lot of companies and organizations have also raised their voice against the outdated law regarding this matter and it is yet to be seen what the government’s response would be. Being disabled is probably one of the most challenging things that one could ever experience during their life and while it is a tough life to live, we get to see so many people going through it around us daily. Providing these people with proper help and support is something that is not only a basic ethical and moral responsibility, it can also be very fruitful in helping our society develop. To provide disabled people with the opportunities to rehabilitate is an essential part of life. Providing them with a complete environment of rehabilitation is very effective and at the same time, essential part of their support system. There are countless organizations all over the UK that provide rehab services to a lot of disabled people. Among them are some famous and big names too like the Handicap International UK and Queen Elizabeth’s Foundation for Disabled People. Organizations like these are currently providing a complete support program that helps disabled people in regaining their position in the society effectively and be a positive part of their community. Such an initiative is highly appreciable and at the same time, a requirement for the success of our society as a whole. There are several programs that are being developed and implemented which are all focused on helping disabled people in gaining control over their lives. For any person who is disabled in a particular way, whether it is physical or mental, the hardest part of their life is to cope with the fact that they are in constant need of external support. This is something which can actually be eradicated in most cases by teaching disabled people to adapt to their circumstances. At institutes like the Queen Elizabeth’s Foundation for Disabled People there are specialized programs that focus on helping the candidates in slowly transitioning towards the stage where they use alternative methods to solve the problems from their daily life. The project is set very delicately and every step of progress is thoroughly measured to make sure that maximum results are achieved without causing any negative impact. The candidates are encouraged to set their own targets and then they are helped in learning how they can achieve these targets. It is a great opportunity to overcome the disability without having any external support. Living in the open world on your own can be very difficult for nearly all of disabled people and to be able to tackle everyday problems where action is needed can be very tricky. Therefore, helping disabled people by providing them with technology and specialized equipment is a great way to help them in moving in the world like one would without the disability. For example, cars with special equipment installed in them can be used to help a disabled person have the same control on it as a normal person would. This aid in the ability to move about is probably the biggest of all contributions because most of the people who have disabilities are often also suffering from an imperfect body movement. The best way to improve on the disabilities is by using different therapy techniques. A lot of very advanced procedures have also been developed over the recent years which have shown a very positive impact on the healing process for the disabilities. The treatments are quite varied and cover a lot of different bases like the brain, the eyes, the ears, the limbs and a lot more. The result of this is that over the period of time, a lot of people are able to completely lose their disabilities and start living a completely normal life, unaided. The amount of people who show improvements are greater and while some of them can’t have the chance to live a completely normal life, they are well trained in learning to live the way they are. The thing that is required the most when entering the real world is skills and education and for that reason, institutes like Handicap International UK and QEF provide disabled people with proper training in real-life skills. In addition to that, they also provide them with proper education that would lead to a good potential career, allowing them to become truly independent. When it comes to motivation and learning, nothing works better than a group that supports your every move. For that reason, most of these institutes also have communities where people can indulge in activities that allow them to improve themselves and at the same time gain self-confidence. All these efforts are to make sure that disabled people are provided with an equal chance at life, a chance that they truly deserve.